Inverness-shire: Green-winged Teal again at Loch Flemington (RBA). Easter Ross: Drake American Wigeon at Tain on the river upriver of the footbridge (RBA). Sutherland: Iceland Gull at Embo (RBA). Inverness-shire: Drake Green-winged Teal at Loch Flemington on the south shore of the loch in the bay (Jon Clarke). 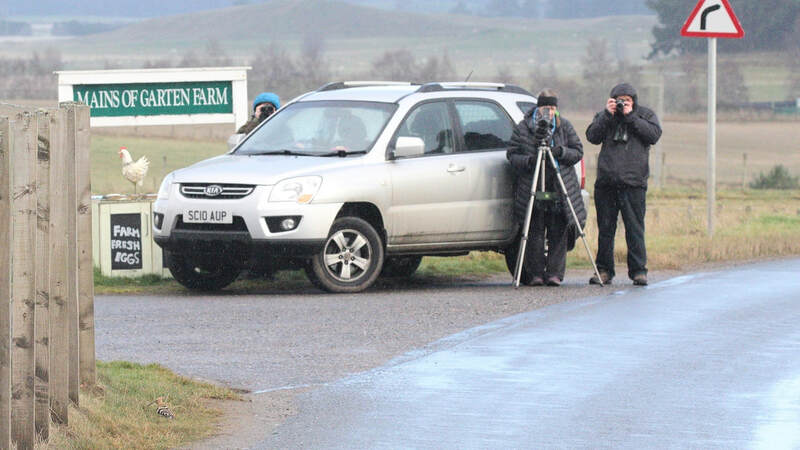 Badenoch and Strathspey: Hoopoe still present at Mains of Garten this morning (Adam Batty), at 2pm was seen near the Croftronan road next to the telegraph pole with "danger of death" sign, 200 yards east of previous position (Dave Pullan). 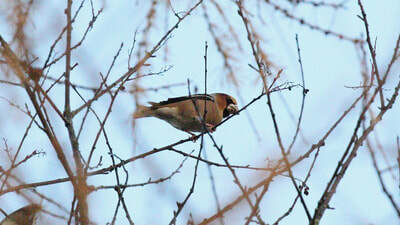 Easter Ross: Hawfinch in private garden on Brahan Estate here (Andy Williams). 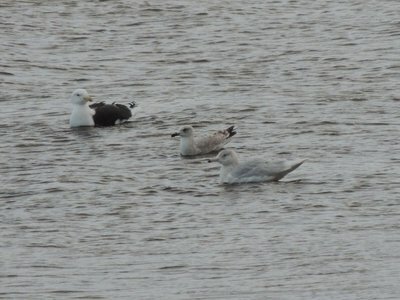 Intermediate morph Snow Goose still at Munlochy Bay, east of A9 and north of A832 at 1239pm (RBA). 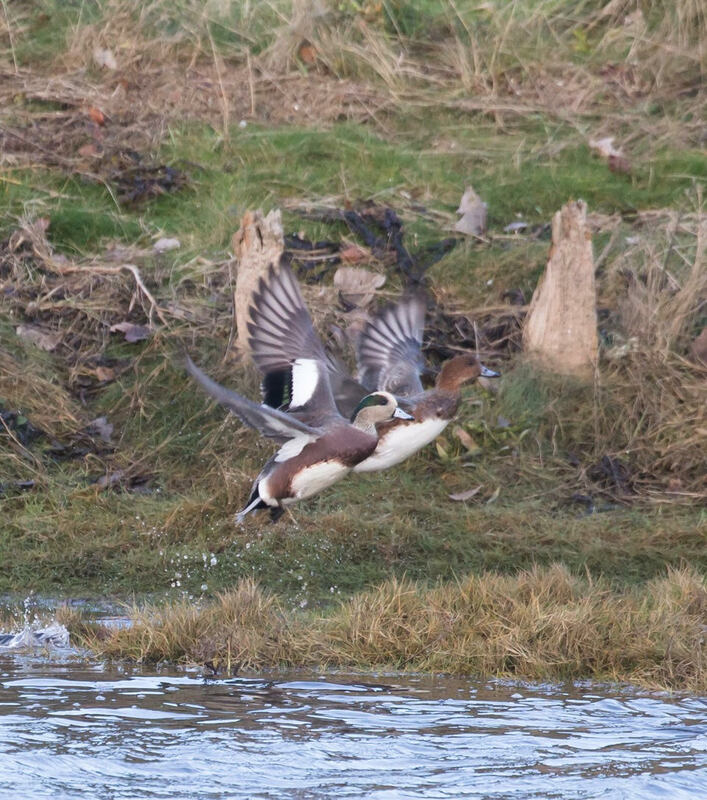 American Wigeon at Tain Links today (Rosemary Aitken). 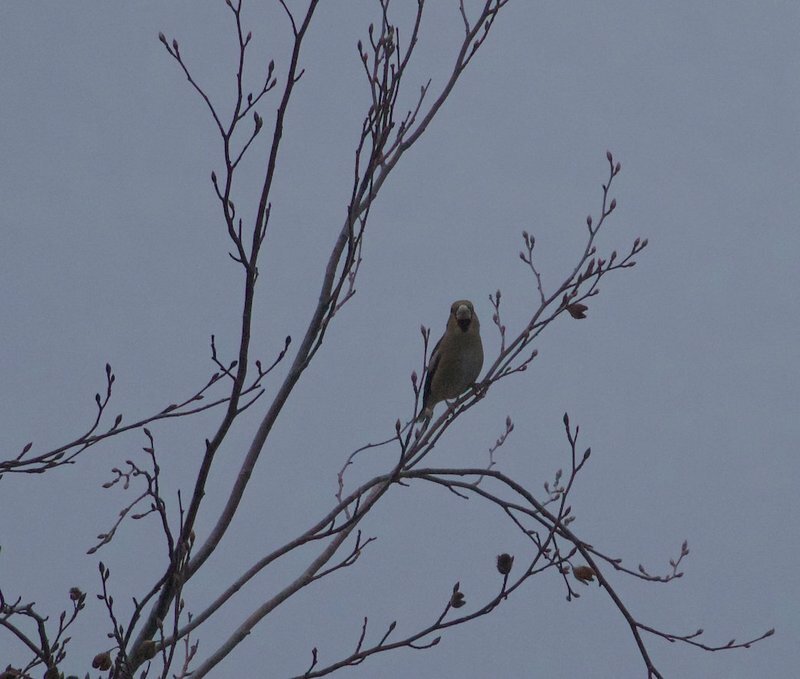 Sutherland: Lone Waxwing at Forsinard field centre (Rob Hughes). A Lapwing seen at Nigg Bay, Easter Ross on the 3rd November 2018 by Simon Cohen was ringed as a pulli in Glen Clova during the last three breeding seasons. 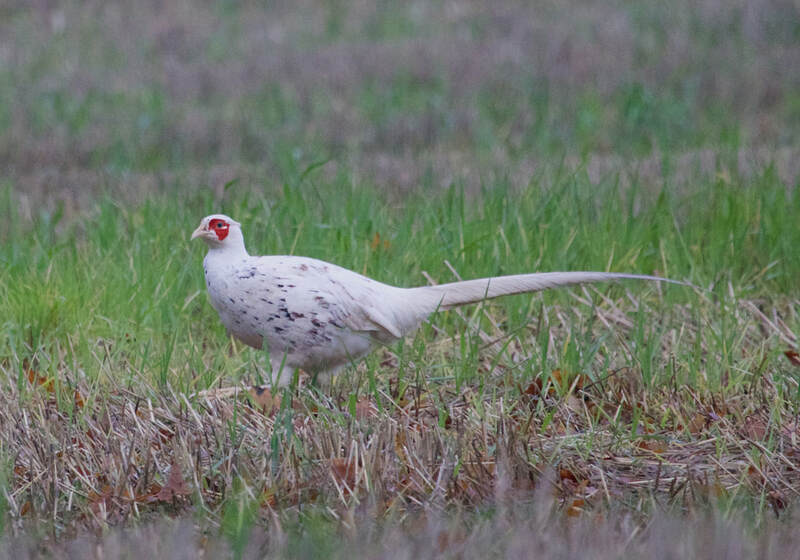 Other movements from this breeding population have been to Fife and also to Barnsley, South Yorkshire in England. 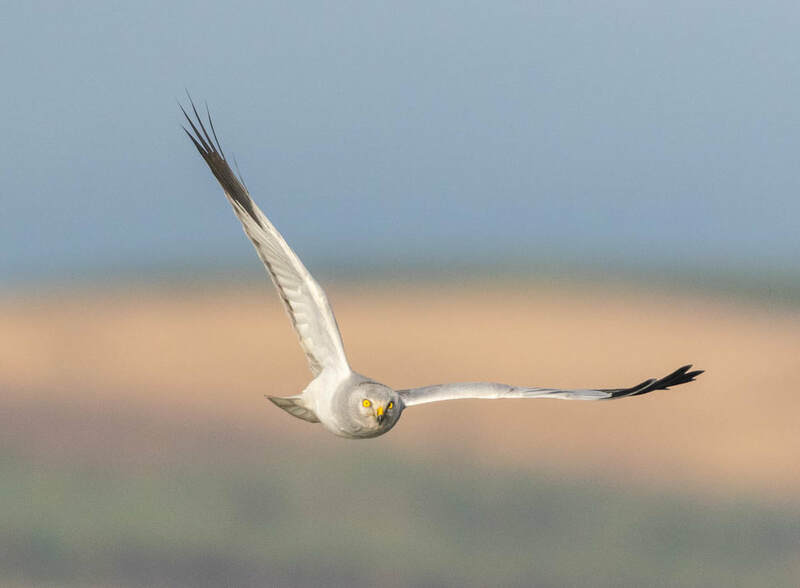 Thanks to Simon Cohen and Bruce Lynch for details of the sighting. ​A Barnacle Goose seen at Caerlaverock WWT this month with wild geese was ringed as a gosling at Loch Insh in July 2015 and is offspring of part of the feral breeding flock in Speyside, thanks to Tom Lowe for the information. 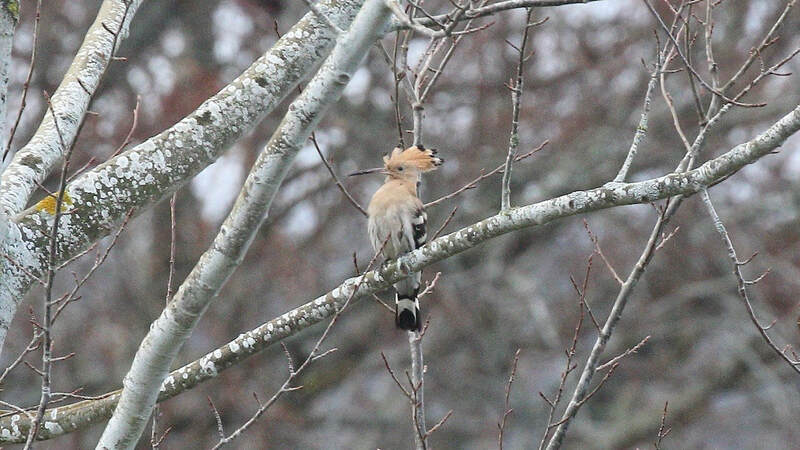 Hoopoe at Nethy Bridge (Peter Stronach). 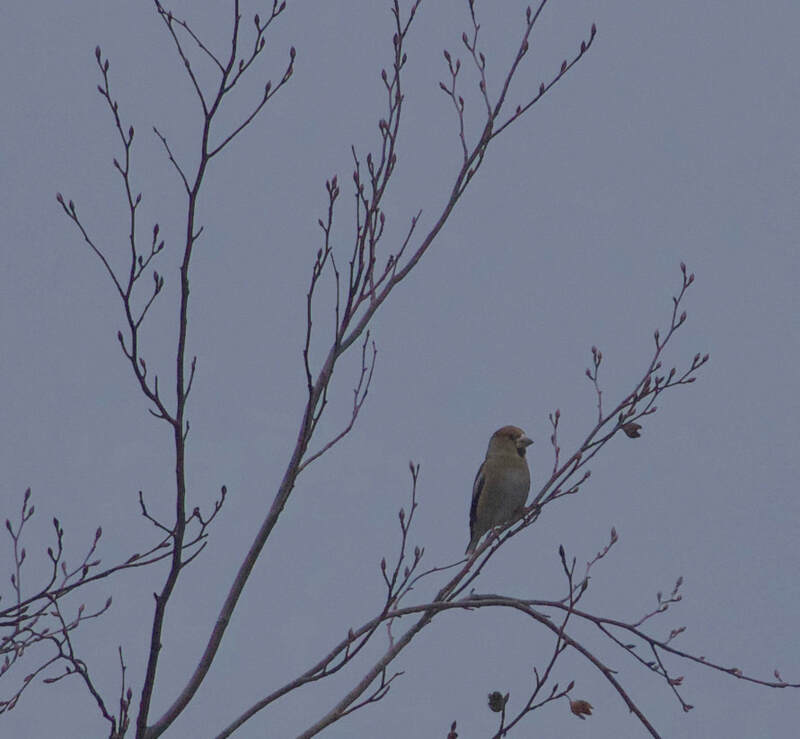 Hawfinch at Brahan (Andy Williams). 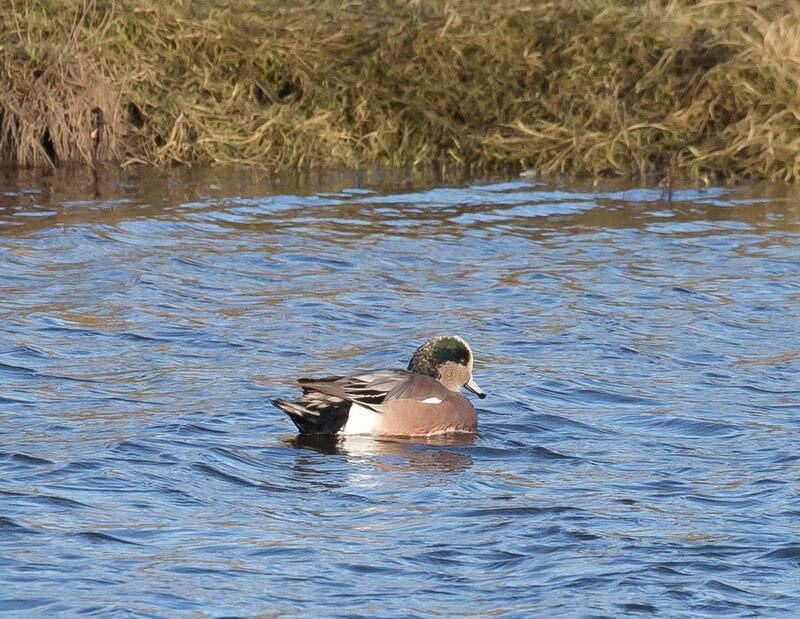 American Wigeon at Tain Links (Rosemary Aitken). 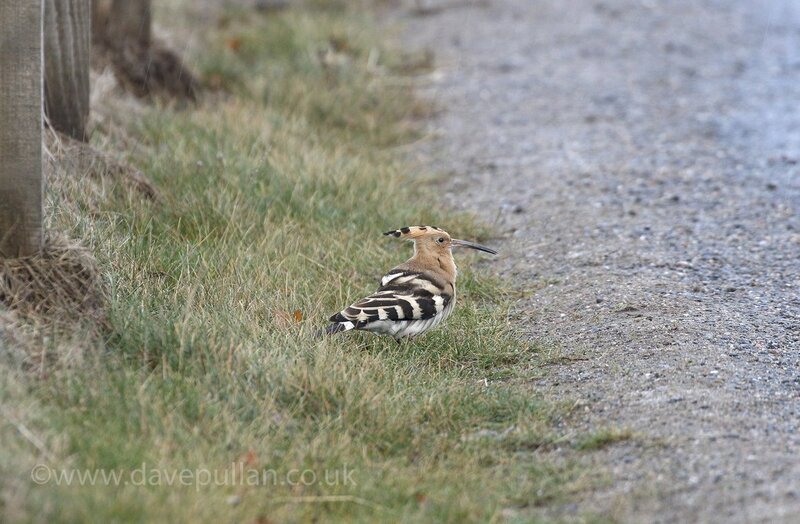 Badenoch and Strathspey: A Hoopoe was found at Mains of Garten this morning and seen later in the day at 1435pm (Dave Pullan/Pete Gordon). Wester Ross: Little Egret at Ullapool river mouth this morning (J Tuach). Badenoch and Strathspey: 11 Waxwings at Old Minister's House at Inverdruie at 1235pm, location here (Audrey Turner), 30+ seen later at 1423pm (Phil Clark). White-tailed Eagle near Dornoch (Dean MacAskill). Badenoch and Strathspey: 7+ Waxwings at Old Minister's House at Inverdruie (Dave Pullan). ​Easter Ross: 1 Little Auk on sea at Tarbat Ness 09:15 morning, also at Balmuchy 76 Whooper Swans with a flock of Greylag (Simon Levene). Chiffchaff foraging this afternoon in a garden in Scotsburn Road, Tain (Gary Aitken). 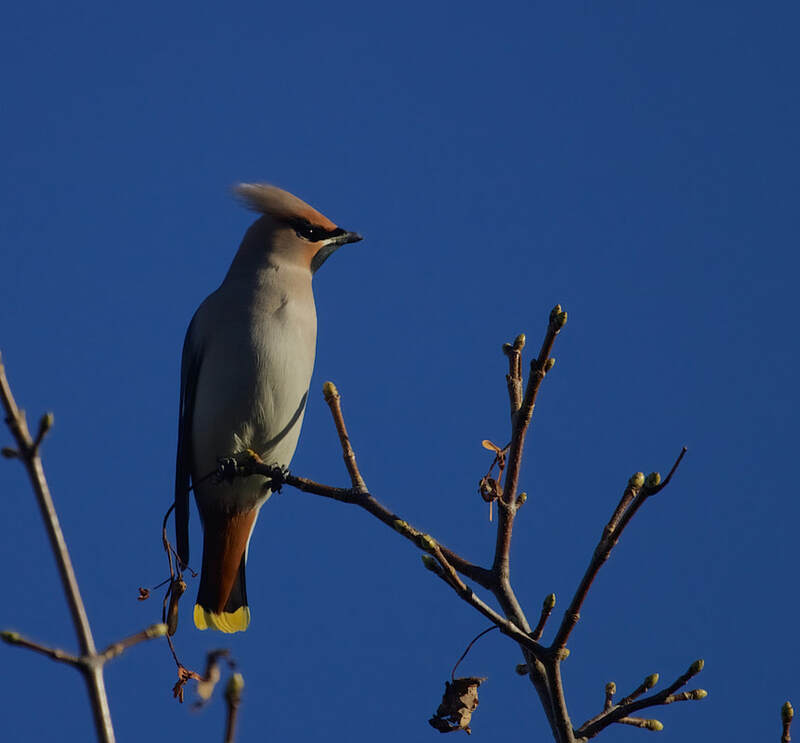 Badenoch and Strathspey: 26 Waxwings at Old Minister's House at Inverdruie (Steve Broyd). 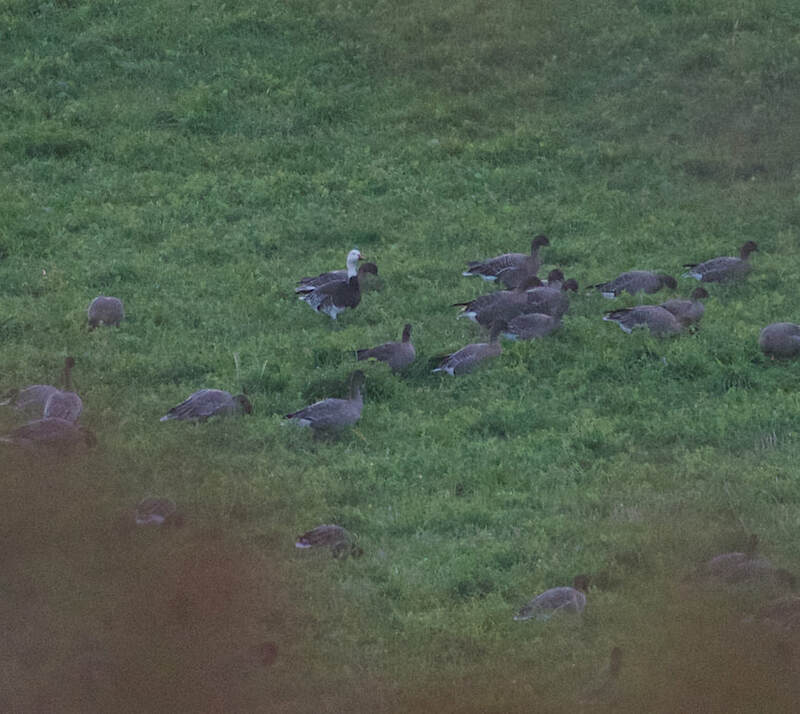 ​Easter Ross: Intermediate morph Snow Goose still at Munlochy Bay, viewed south from west lodge of Rosehaugh Estate, Avoch (Colin Leslie). Sutherland: Rough-legged Buzzard at Invernaver at 1430pm (Rob Hughes). ​Badenoch and Strathspey: 23 Waxwings at Old Minister's House at Inverdruie (Steve Broyd). 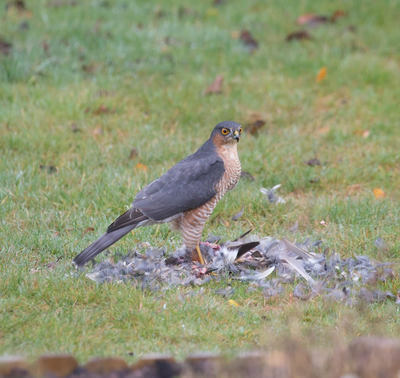 Lochaber: No sign of Firecrest at Corpach today (Stuart Crutchfield). 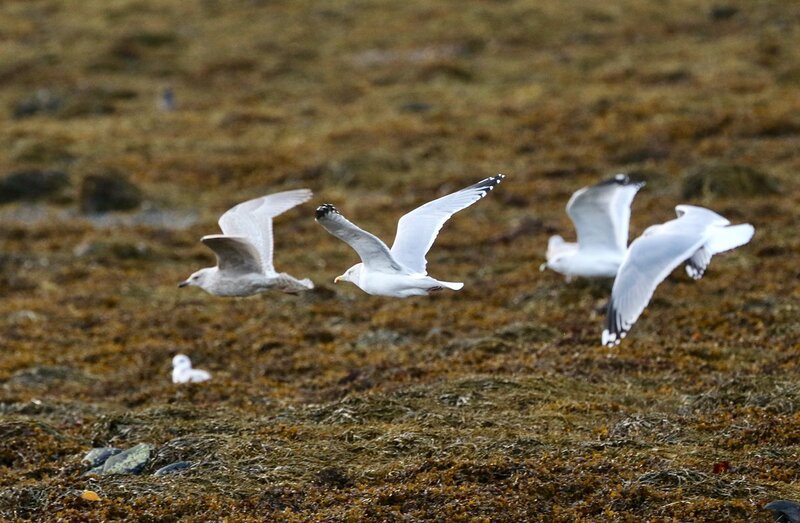 Sutherland: Three Little Gulls, 3 Bonxies and a Sandwich Tern north past Brora by midday (Dean MacAskill). 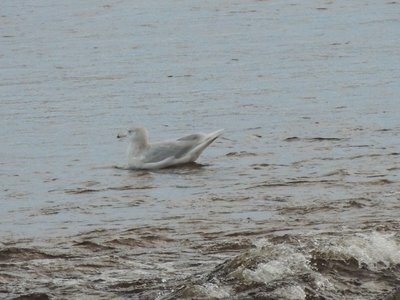 Easter Ross: Intermediate Morph Snow Goose still at Munlochy Bay today (RBA). Badenoch and Strathspey: Waxwings reported again at the Old Minister's House at Rothiemurchus (per J Poyner). 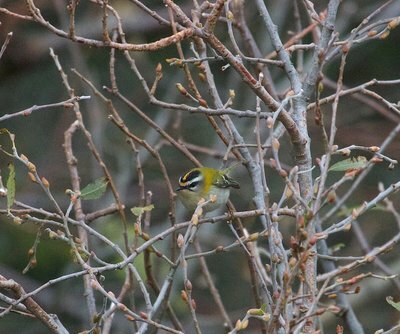 Lochaber: Firecrest reported today from Corpach at Snowgoose at NN0976 (Birdtrack). Badenoch and Strathspey: 6 Waxwings at Rothiemurchus at the Old Minister's House today (RBA). 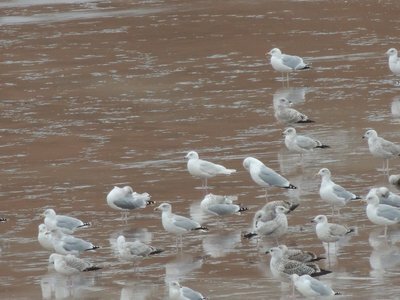 Sutherland: Two Little Gulls and a Sandwich tern at Brora river mouth and a Nordic Jackdaw (Dean MacAskill). Badenoch and Strathspey: No sign of Smew on Loch Insh today (RBA). 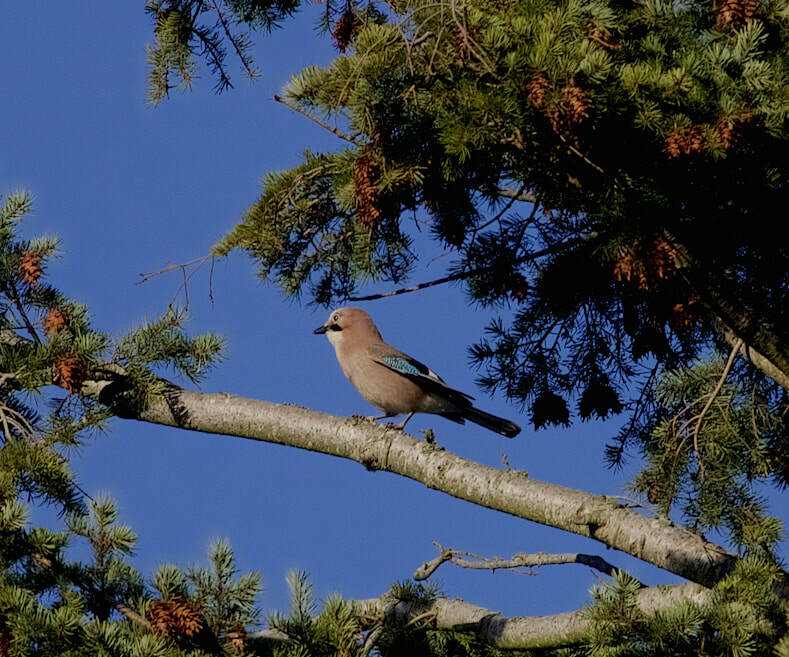 Single Hawfinch at Grantown today in the usual area (Mark Warren). Inverness-shire: Still a Black-tailed Godwit and a Kingfisher at Merkinch (Colin Leslie). 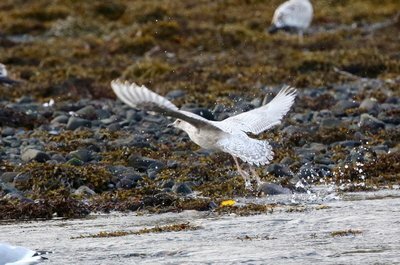 Skye and Lochalsh: No sign of Lesser Yellowlegs from the of the Hebridean Hotel carpark in brief look this morning (Bob McMillan). 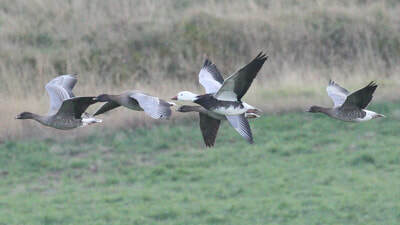 Easter Ross: White-fronted Goose in with a large flock of Pinkfeet and Greylags in the field on the Beauly side of Lovat Bridge (NH516451) (Keith Barnes). Nuthatch still coming to garden on Craigdarroch Drive, continues, been present four months. Badenoch and Strathspey: Smew reported on Loch Insh (RBA). Sutherland: Waxwing at Lairg (RBA). Lochaber: Adult drake Black Duck still at Strontian at the river mouth at 1433pm (RBA). Skye and Lochalsh: Lesser Yellowlegs still in from the of the Hebridean Hotel carpark today (Neil Bennett). Inverness-shire: Kingfisher and 2 Black-tailed Godwits at Muirtown Pools late afternoon (Al McNee). Lochaber: Snow Bunting flew over Kilmory, Rùm (Sean Morris). 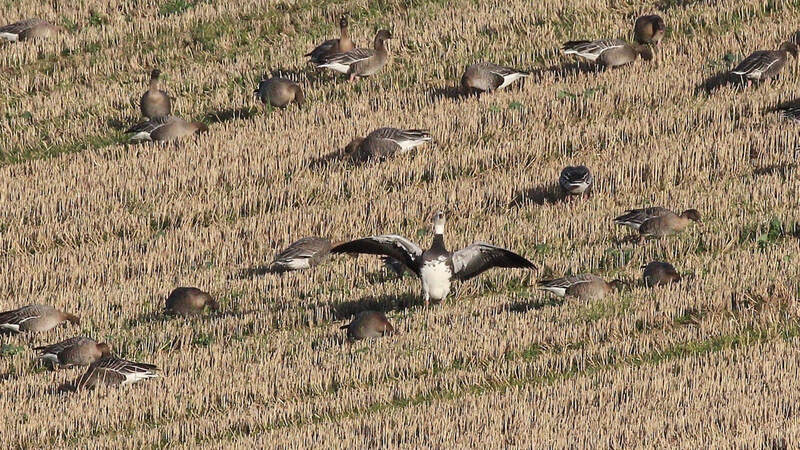 Inverness-shire: Pale-bellied Brent Goose in field to the southwest of Loch Flemington (Carol Miller/Sue Seright) and a Pintail with Mallard flock from the lay-by (Pete Gordon). Badenoch and Strathspey: 2 Hawfinch briefly by Fishermans hut at 0837am then flew upstream (Steve Broyd). 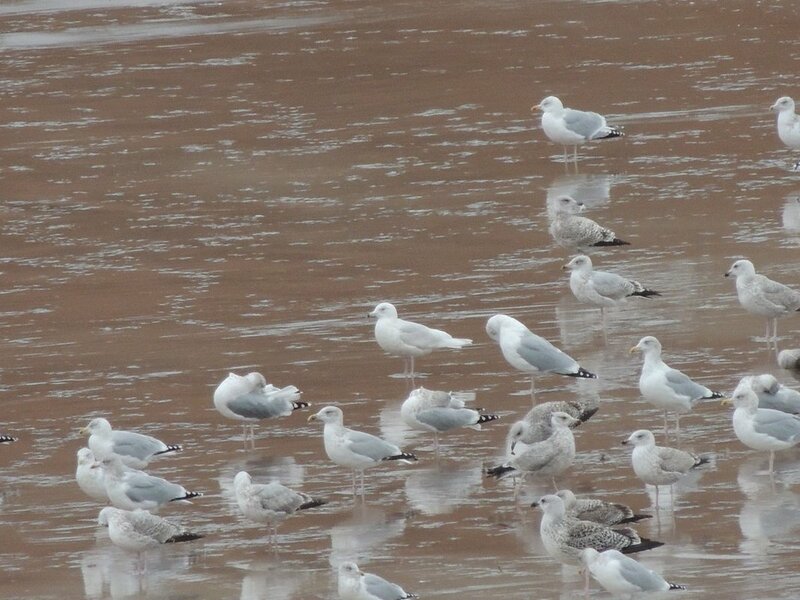 Sutherland: 3 First-winter Little Gulls and a Sandwich Tern at Brora river mouth (Dean MacAskill). Skye and Lochalsh: Lesser Yellowlegs still in from the of the Hebridean Hotel carpark today (RBA). Badenoch and Strathspey: Single Hawfinch by fisherman's hut downstream of Old Spey Bridge this morning till 0817am when flew north (Pete Gordon). No further sign by 0840 (Sue Sykes). Easter Ross: Drake American Wigeon still present on Loch Eye and also present a hybrid Wigeon sp. (Mike Hoit). Inverness-shire: 5 Waxwings at Milton of Leys, Inverness this morning at 09:20am (David Bain). 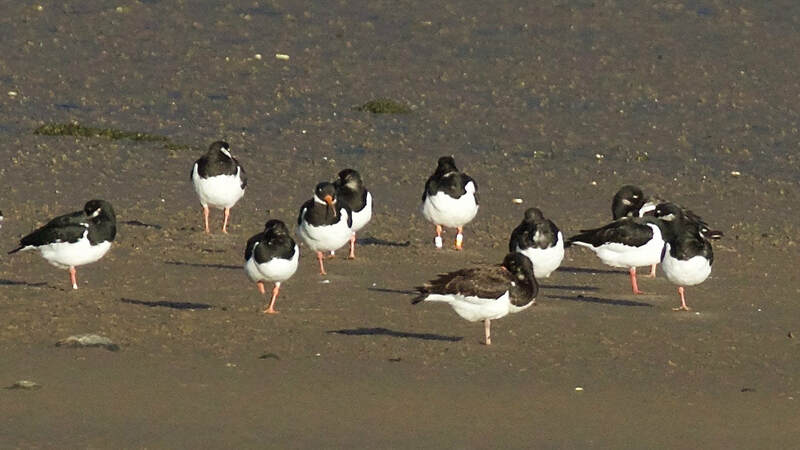 At Udale Bay on the 9th November was this colour-ringed Oystercatcher first ringed at Whiteness Head, in 1997 by Highland Ringing Group. 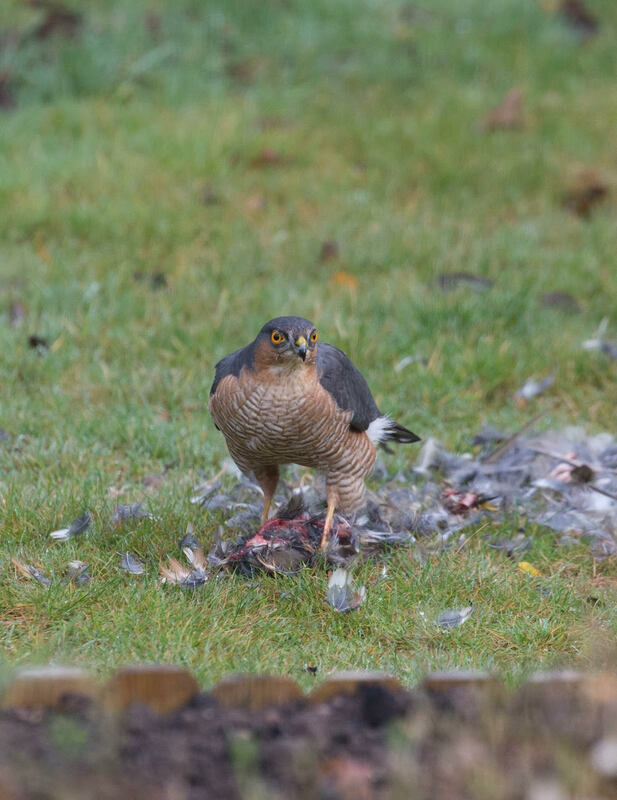 The bird was colour-ringed in Iceland last year whilst incubating. 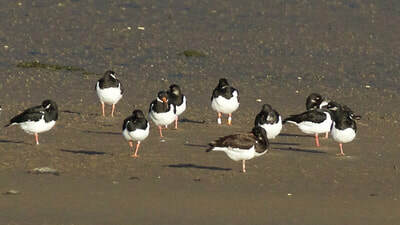 So it is at least 21 years old, the oldest known Oystercatcher in Europe was 43!. Thanks to Bödvar Pórisson for ringing details. 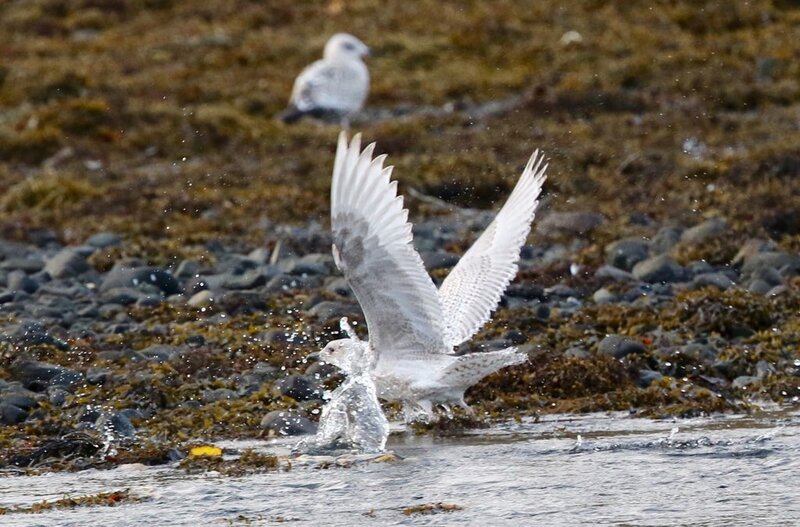 Viking Gull in Portree (Bob McMillan). Viking Gull in Portree (Bob McMillan)..
Badenoch and Strathspey: No sign of any Hawfinch by fisherman's hut downstream of Old Spey Bridge this morning between 0740-0900am. Hawfinch reported at 0940 by hut between two bridges at Grantown (Birdguides). 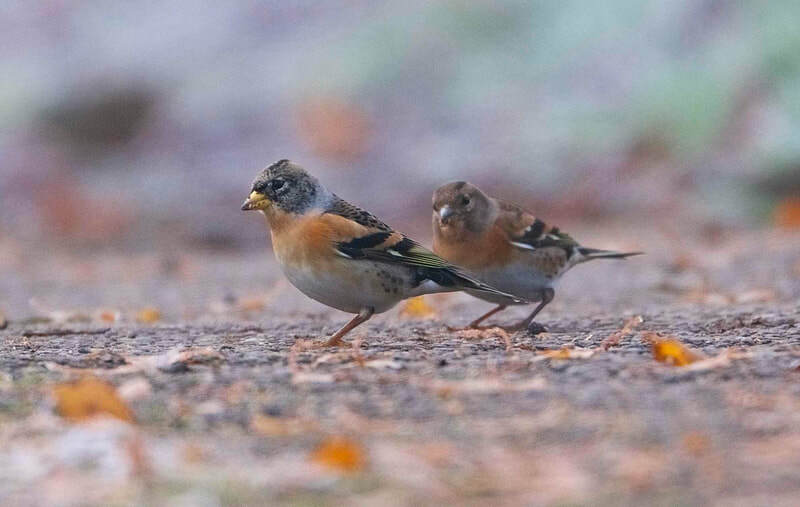 30 Waxwing flew over Spey Way, Nethy Bridge at 1139am and 40+ Brambling below the Old Kirk (Steve Broyd). Easter Ross: Single Waxwing on sea buckthorn at Nigg Ferry this morning (Bob Swann). 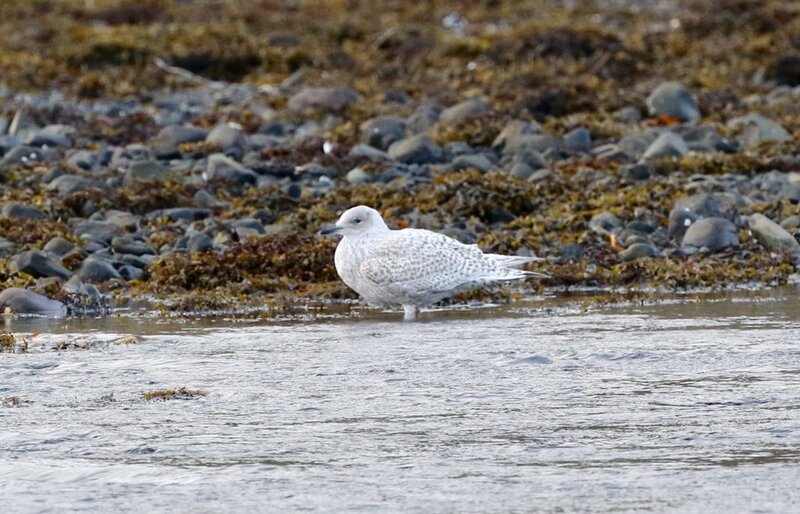 Lochaber: A 3CY Glaucous Gull at Kimory, Rùm today (Sean Morris). 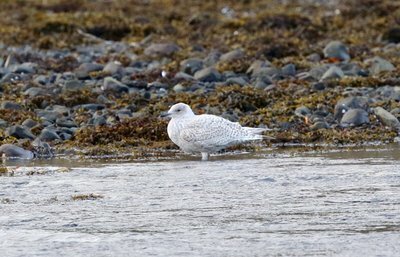 Glaucous Gull at Kilmory, Rùm (Sean Morris). Badenoch and Strathspey: 3 Hawfinch downstream of the Old Spey Bridge at same location at 0810am then flew up river past Old Spey Bridge (Steve Broyd). Easter Ross: American Wigeon at Loch Eye with 58 Scaup, 1 Pochard and 161 Coot (Bob Swann). 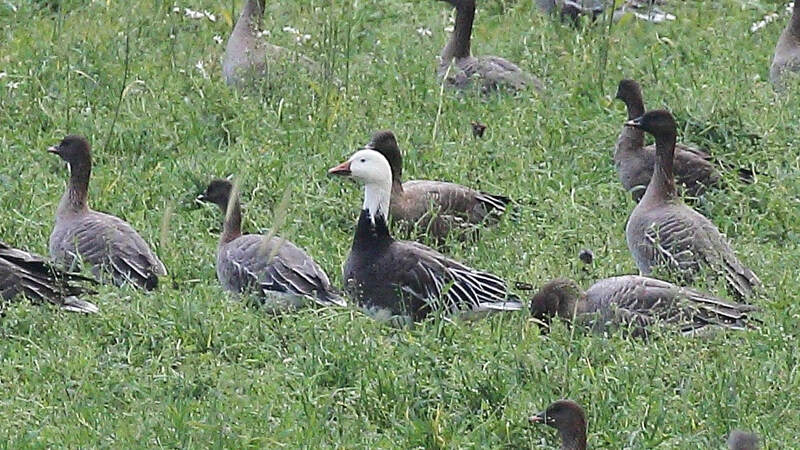 Intermediate morph Snow Goose still present near Avoch this afternoon in this field. 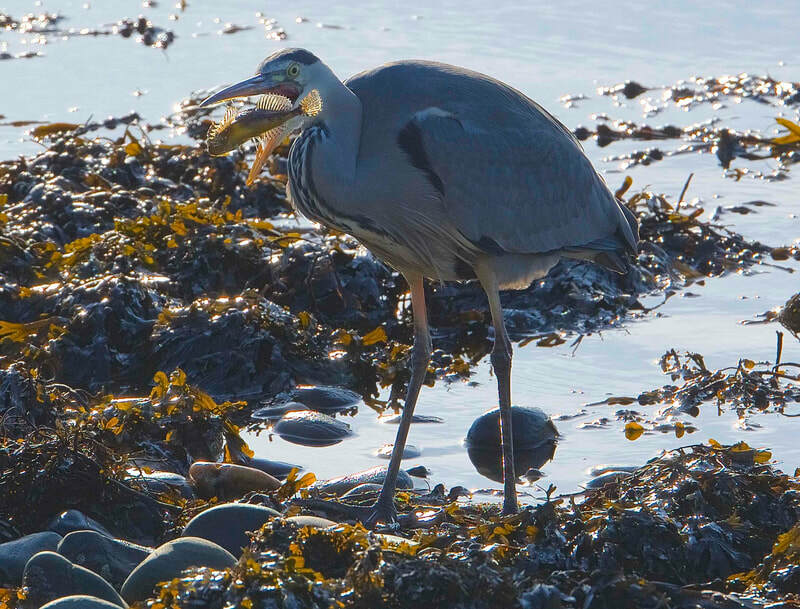 Skye and Lochalsh: Juvenile Lesser Yellowlegs still in Broadford Bay, please view from the carpark of the Hebridean Hotel (Martin Benson). 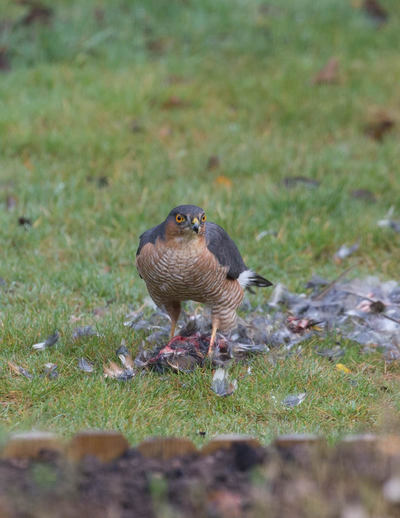 Sparrowhawk in Tain (Rosemary Aitken). 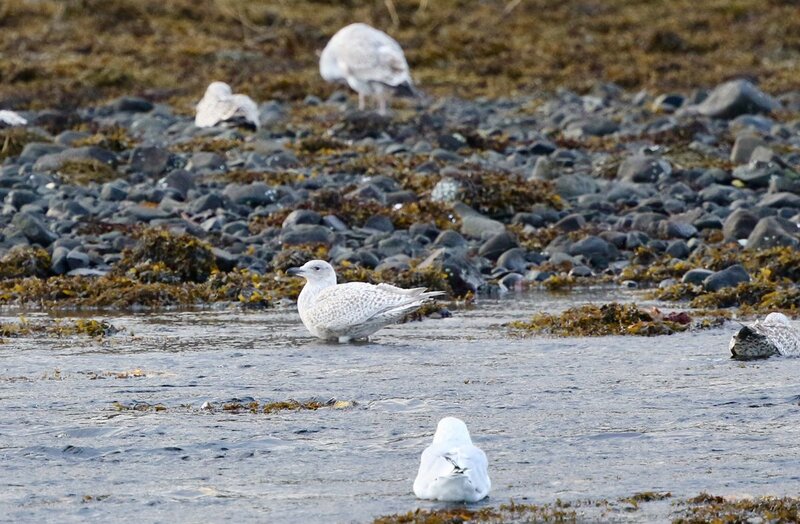 Lochaber: Single Iceland Gull at Kilmory, Rùm (Sean Morris). 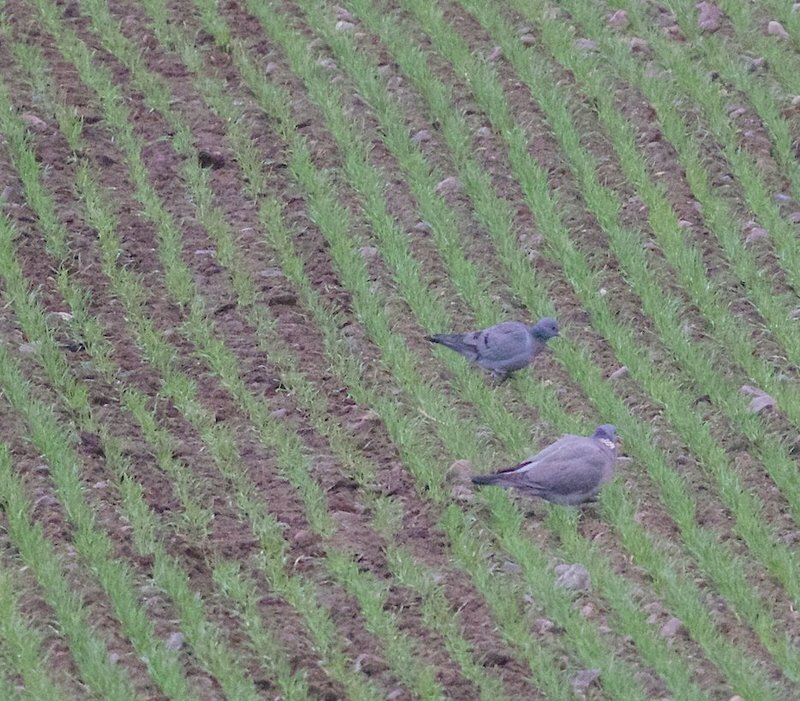 Badenoch and Strathspey: 4 Hawfinch downstream of the Old Spey Bridge at this location at 0830am, at 0844am three flew upstream over the bridge and were lost to view (P Stronach). 6 Waxwings also flew over this location at 1014am (J Poyner). 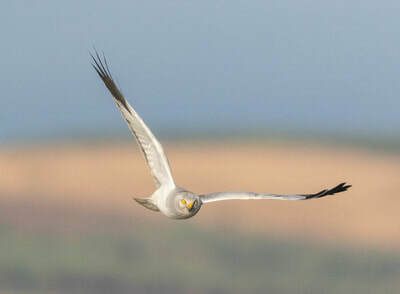 Later at 1pm a Great Grey Shrike was found in the same area!, then flew over the river towards the A95 (Steve Broyd). Easter Ross: 3 Pomarine Skua past Tarbat Ness this morning heading southeast and a Sooty Shearwater past (Dave Tanner). 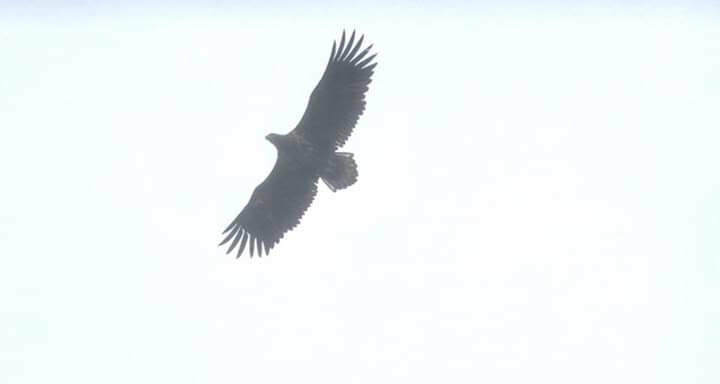 Juvenile White-tailed Eagle over RSPB Tollie Red Kites today (J MacLean). Intermediate morph Snow Goose still at Avoch in stubble at this location (A Joss). Sutherland: Late Sandwich Tern past Embo and Little Egret still at Loch Fleet (D MacAskill). Badenoch and Strathspey: 3 Hawfinch at Grantown upstream of the Old Spey Bridge near fisherman's hut at 0940am (RBA). Inverness-shire: Little Egret on Muirtown Pool next to railway line 11.45am (Tommy Youd). 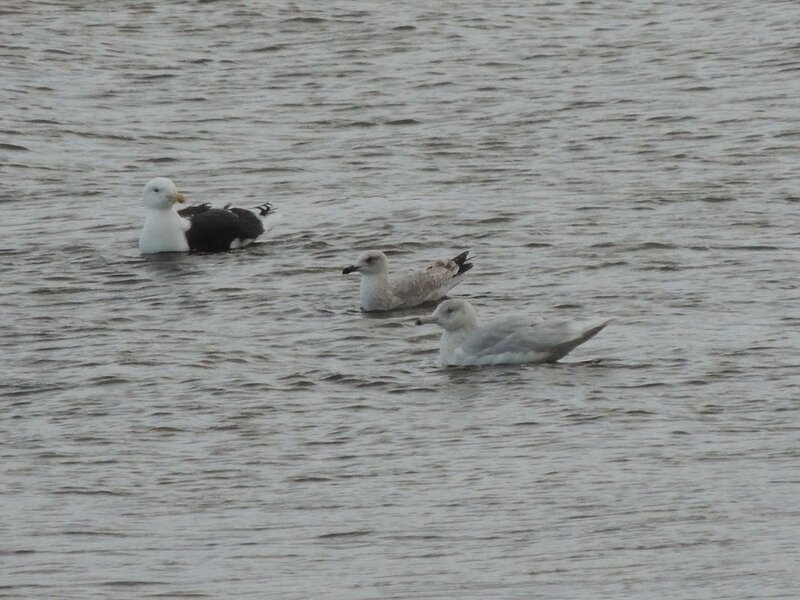 Skye and Lochalsh: 1CY Viking Gull present at Bayfield, Portree (N Bennett). Easter Ross: Intermediate morph Snow Goose still at Avoch in stubble at this location (P Stronach). 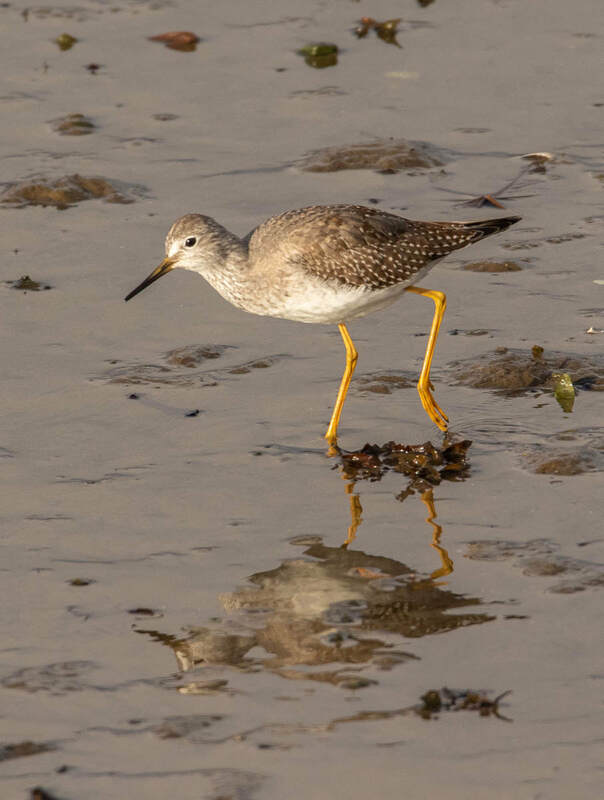 Skye and Lochalsh: Juvenile Lesser Yellowlegs still in Broadford Bay, please view from the carpark of the Hebridean Hotel, the bird is very confiding and walks on the mud in front of the car park (Colin Leslie). Wester Ross: 6 Waxwings in Inverpolly at the fish farm today (Stuart Edwards). 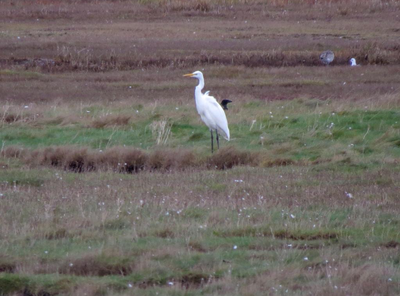 Sutherland: Great White Egret at Melvich, may have been present several days (Darrell Stevens). 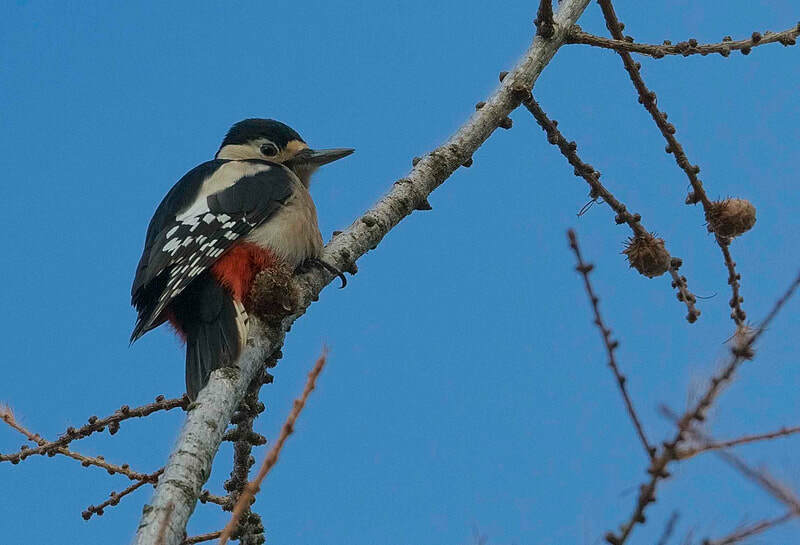 ​Badenoch and Strathspey: 12 Waxwings at Blairgorm east of Nethy Bridge this morning at this location (Scott O'Hara). Easter Ross: Intermediate Snow Goose still at Munlochy Bay in fields near Easter Suddie here at 1111am (Colin Leslie). Skye and Lochalsh: Juvenile Lesser Yellowlegs still in Broadford Bay, please view from the carpark of the Hebridean Hotel, the bird is very confiding and walks on the mud in front of the car park (Bob McMillan). 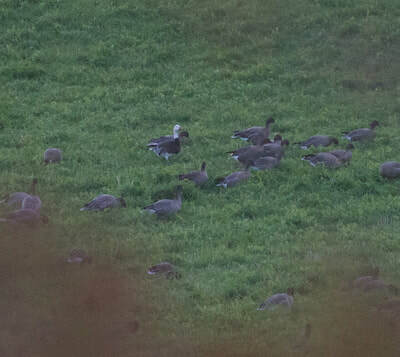 Easter Ross: Intermediate Snow Goose still at Munlochy Bay in the field below the hide till midday when the flock moved to a field further north at Easter Suddie at this location. 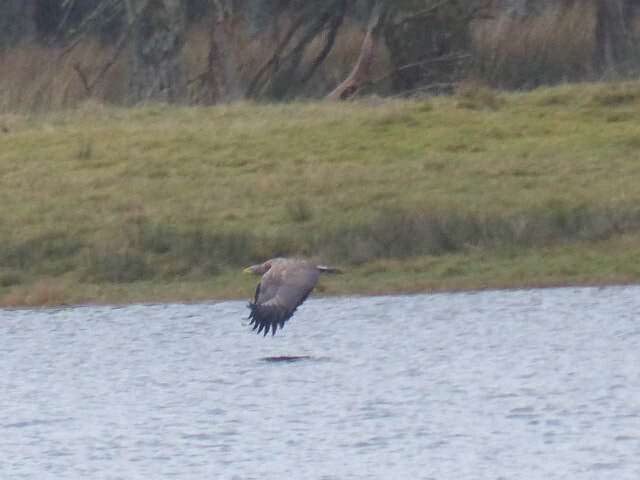 Also a Taiga Bean Goose at 1049am and 2 Canada Geese at Munlochy between 1049am and midday but no sign later (Al McNee/Susan Seright). 20 Waxwings south of Tain at Newfield on wires by A9 at 1120am (RBA). Easter Ross: Intermediate Snow Goose still at Munlochy Bay in the field below the hide (S Seright/P Stronach), also Little Egret. Drake American Wigeon still on Loch Eye, also 4 Pochard, 57 Scaup, 132 Coot and 15 Black-tailed Godwit (Bob Swann). Glaucous Gull flew southeast past Tarbat Ness this morning (Dave Tanner). 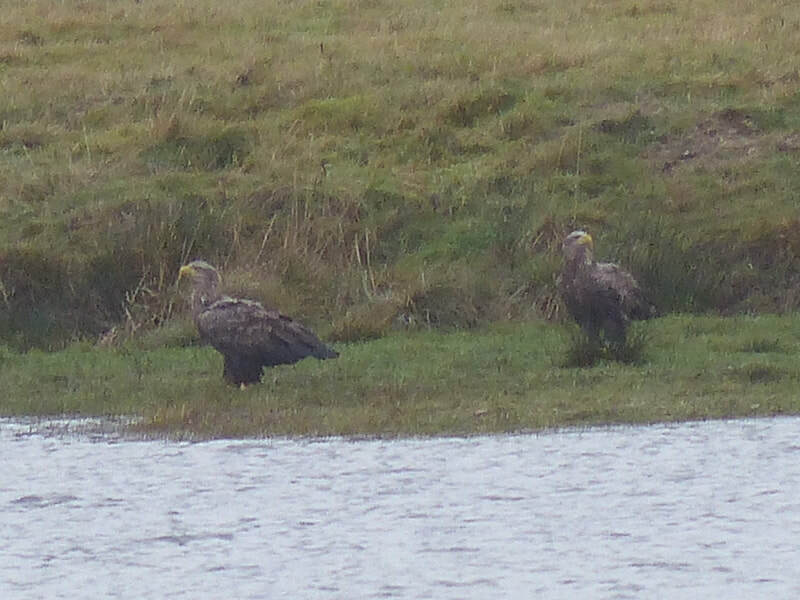 Badenoch and Strathspey: Rough-legged Buzzard at Lochindorb on the post by the minor road off the B9007 at 3pm (RBA). Inverness-shire: Long-tailed Duck on the A96 pool by the airport roundabout and 2 Common Scoter on Loch Flemington (Kate Clarke). 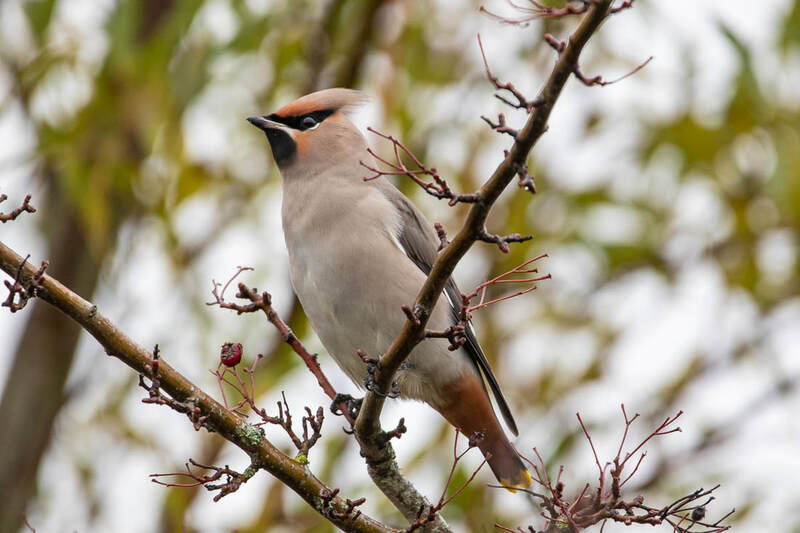 Inverness-shire: 14 Waxwing at Ardersier Primary School at 2.30pm, also 3 flew over Ardersier towards the Airport at 0803am (Marcus Conway). 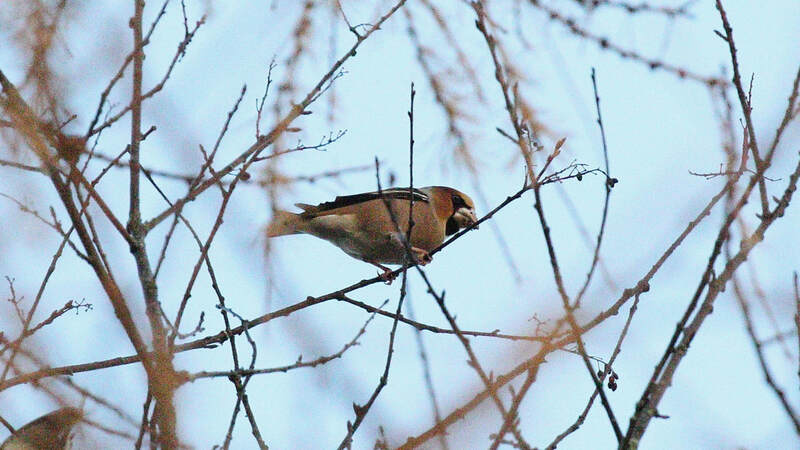 Badenoch and Strathspey: Single Hawfinch at Grantown, downstream of the Old Spey Bridge in hawthorn trees beside the second fishing hut (Simon Pawsey). 2 Waxwing at Nethy Bridge at Dirdhu Court (Steve Broyd). 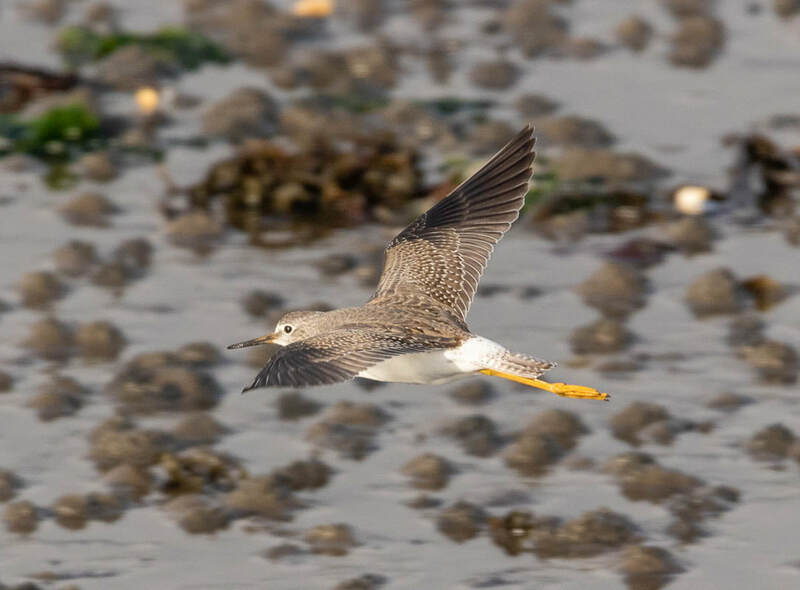 ​Skye and Lochalsh: Juvenile Lesser Yellowlegs still in Broadford Bay, please view from the carpark of the Hebridean Hotel, the bird is very confiding and walks on the mud in front of the car park (Bob McMillan). 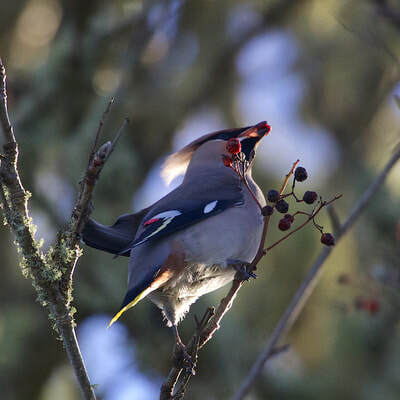 Easter Ross: 12 Waxwings on the Black Isle on the Munlochy to Culbokie road just north of Mount Eagle (Colin Leslie). One Little Egret at Munlochy Bay this morning (Colin Leslie). Easter Ross: Adult Pomarine Skua southeast past Tarbat ness this morning and adult Little Gull (Dave Tanner). Inverness-shire: Single Waxwing in Croy (Colin Leslie). single Barnacle Goose on the salt marsh at Whiteness with a damaged wing (Colin Leslie). Easter Ross: Great Egret at Udale Bay from the hide this morning till at least 1114am (Keith and Rosie Barnes/Sue Seright), then flew southeast and didn't return (Dave Tanner). Little Egret at Munlochy Bay from the hide (Mary Galloway). Wester Ross: Firecrest at Laide at Columba Court (Andy Williams). 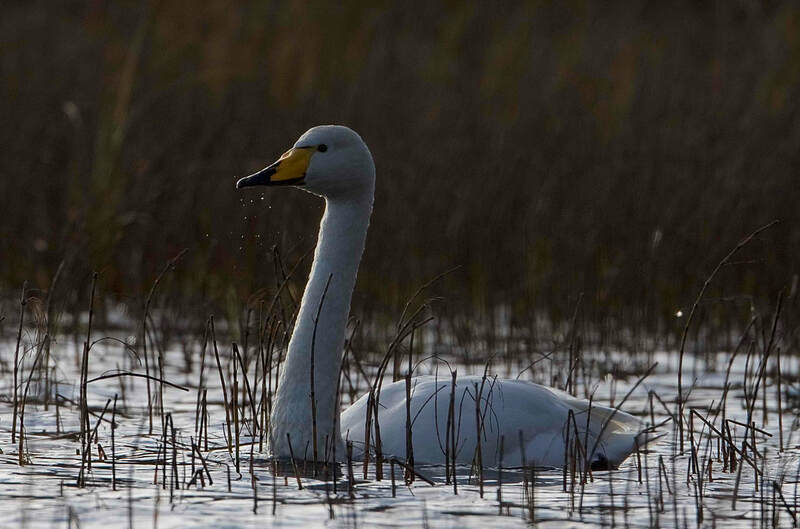 Easter Ross: Intermediate morph Snow Goose and 2 Little Egret from the hide at Munlochy Bay (Carol Miller). Single Snow Bunting at Tarbat ness this morning (Dave Tanner). Still 20 Waxwing at Aldie near Tain (Bob Swann). Sutherland: Great Crested Grebe and Little Gull off Brora river mouth (Andy Williams). Easter Ross: Intermediate morph Snow Goose and Little Egret from the hide at Munlochy Bay (Andy Williams). 50 Waxwings at the southeastern end of Asda carpark in Tain (Bob Swann/Dave Tanner). 4 Waxwings at 4 Castlecraig Farm, Nigg feeding on the Rowans (Bob Swann). Waxwing at Tain (Andy Williams).